Prince William, Duke of Cambridge shakes hands with actress Aishwarya Rai Bachchan as Madhuri Dikshit and Shahrukh Khan look on during the Bollywood theme dinner in Mumbai. 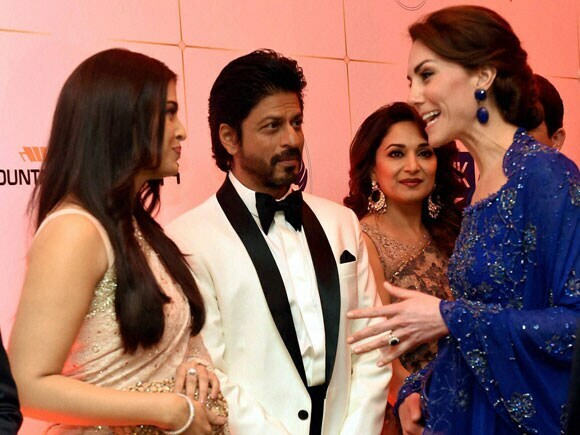 Catherine, Duchess of Cambridge meeting actors Aishwarya Rai Bachchan, Madhuri Dikshit and Shahrukh Khan during the Bollywood theme dinner in Mumbai. 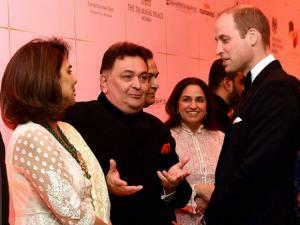 Prince William, Duke of Cambridge with actors Nitu Kapoor and Rishi Kapoor during the Bollywood theme dinner in Mumbai. 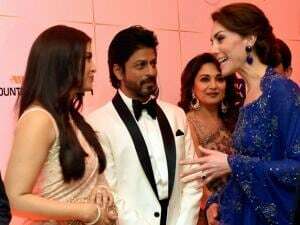 Catherine, Duchess of Cambridge meeting actors Aishwarya Rai Bachchan, Madhuri Dikshit and Shahrukh Khan during the Bollywood_theme dinner in Mumbai . 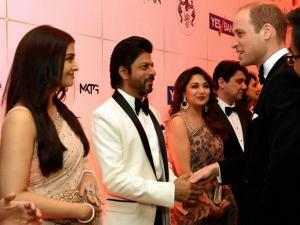 Prince William, Duke of Cambridge meeting actors Aishwarya Rai Bachchan, Madhuri Dikshit and Shahrukh Khan during the Bollywood theme dinner in Mumbai. 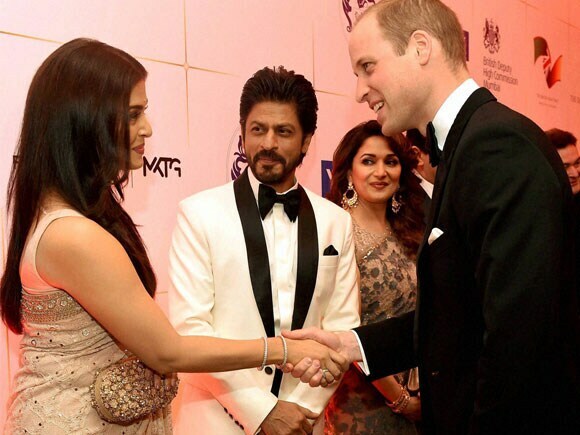 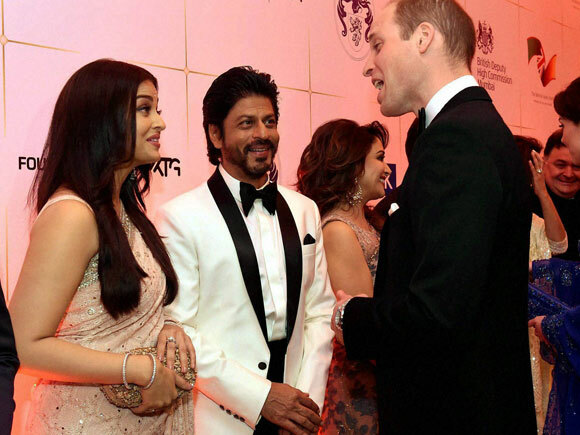 Prince William, Duke of Cambridge and Catherine, Duchess of Cambridge meeting actors Aishwarya Rai Bachchan and Shahrukh Khan during the Bollywood theme.